In some circumstances, it doesn’t make sense to buy a Stairlift outright. Perhaps you’ll only be requiring a mobility lift for a short period or maybe you don’t have the funds to buy a Stairlift. If this is the case, then renting a stairlift maybe the solution for you. There are numerous attractive advantages to renting a stairlift. 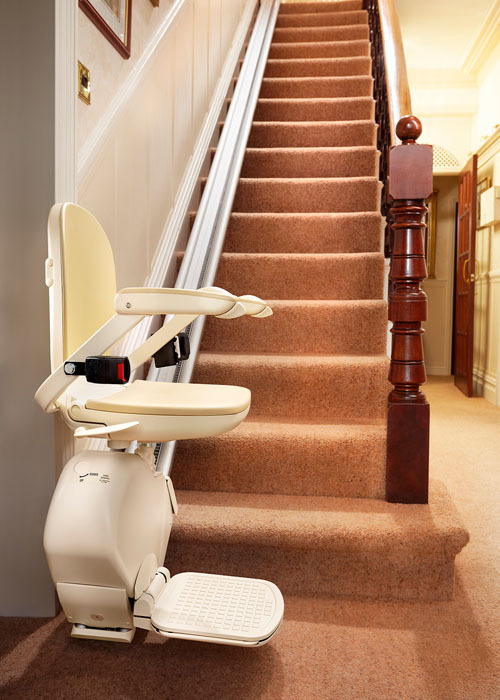 For one thing, if you rent a Stairlift then we’re responsible for its upkeep and maintenance! Our installations carry a full 24 hour call-out service, which is included in your monthly rental premium, at no extra cost. The reconditioned and used stairlifts are completely overhauled. We fit new parts to replace any old or worn components that could possibly hinder the future performance of the product. If you have been considering renting a stairlift or if you would like to buy a straight or curved stairlift, we can help you make the best decision for you. Contact Surrey Stairlift Services today and let us help you.